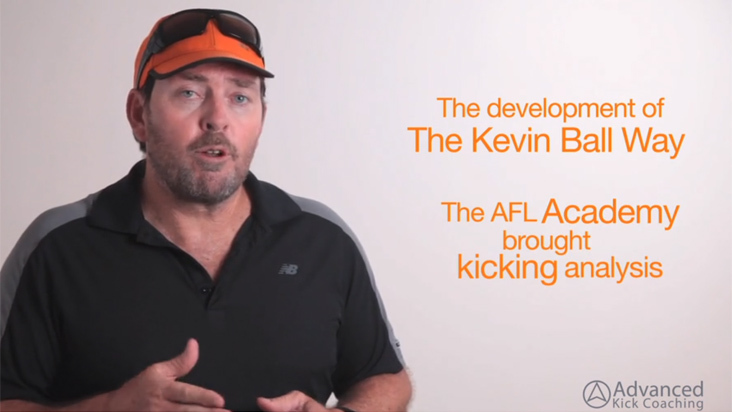 The Development of Advanced Kick Coaching (The Kevin Ball Way) started about 20 years ago when Kevin Ball was working at the Institute of Sport in Bio-mechanics. 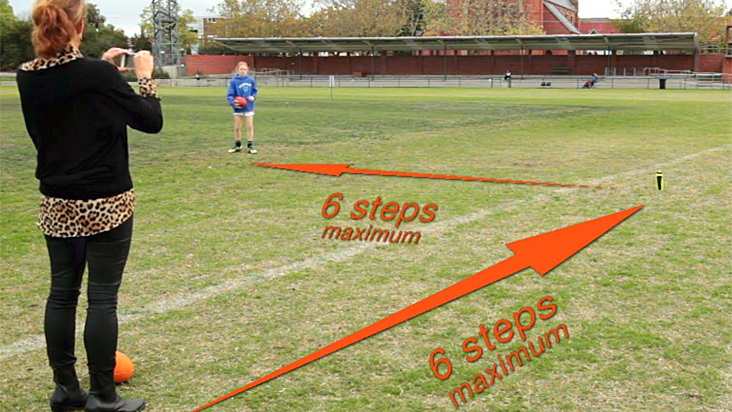 The AFL Academy would come through the Institute every year and their Kicking techniques would be analysed. Later whilst completing a PHD in Melbourne Kevin starting working with the Hawthorn AFL Club working on the analysis of kicking. At the end of 2002 Kevin Ball became the first full-time AFL kicking coach employed by Fremantle. Whilst working at Hawthorn and Fremantle he used a scientific approach to the development of the kicking program. It was found that the program needed to be individualised, each player would have a slightly different technique and after analysis the objective was to make corrections, striving to develop each player’s ‘best technique'. In 2018 the Advanced Kick Coaching App was released, making this program available to football players of all ages and level. The App is a terrific tool used for filming a player’s kicking technique and also displaying the kicking analysis of the filmed technique. This Kick Coaching program is available for all ages and level, simply download our App from the App store, register your details and purchase an online kicking analysis. The filmed kicking action is analysed using our proprietary analysis software. From this analysis we provide a report which will overview the kicking action and then importantly focus on the 2 most crucial aspects to be improved. The filmed kicking action is available stored in the App for playback, it is good to replay the kick whilst taking in the detailed comments from our team. 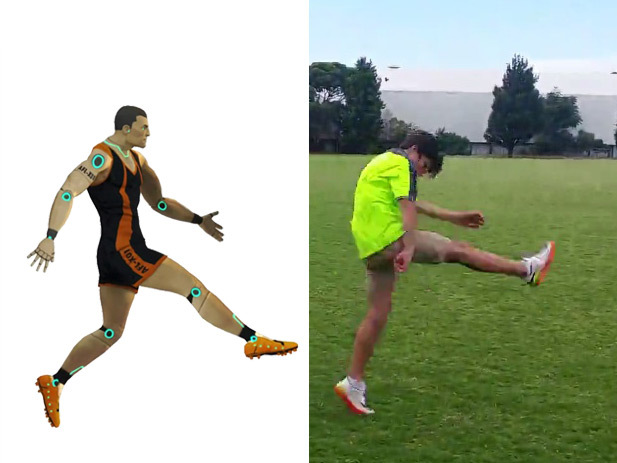 You can also compare your kicking action to RoboKicker, our animated kicking comparison. As part of the program you’ll get intervention drills that you can practise, they are designed to tap into the area that you’re working on, repeat these drills, it takes repetition to effect a change to technique. You need to practice pointing your kicking foot toe at the target (after you kick). Your foot is loose when you kick the football - indicated by your kicking foot toe pointing up to the sky on the follow through. A strong, firm foot will allow you to dart the football into the corridor or inside 50 with penetrating short kicks (also see video drills). "Good kicking technique means better performance and fewer injuries"